Amidst all the recent Yuniesky Betancourt confusion, I stumbled upon this Neifi Perez card from 2002. I’m also in a surly mood because the holidays are over and I’m tired, so I wanted to go on a rantpage. I assume Buddy Bell did not actually mean what he said, he was simply trying to be a company man, nice guy and player’s coach, but still, to ask if there is a better shortstop than Neifi Perez is like asking if there is a better looking man/woman than Fergie. In his 668 games with the Rockies, Perez managed a .282/.313/.411 line. Not good, not abysmal for a shortstop, but, still, not good. He struck out 287 times in 2,728 ABs and hit just 43 HRs. He stole 33 bases, but was caught 24 times. In short he was worth just 1.1 wins above a replacement player. For someone who played most of his games at Coors field those offensive numbers are truly offensive. So what gave Perez an edge? Well, he had a reputation of being a good glove man and did win the gold glove in 2000 (although ask Rafael Palmeiro how prestigious the award is). He also is tied for the sixth best fielding percentage among shortstops all time. When he hung up his glove, he finished with a .978 fielding mark, the same as Ozzie Smith, Orlando Cabrera and Devi Cruz. He was just behind the immortal Cal Ripken, Tony Fernandez, Larry Bowa, Mike Bordick and Omar Vizquel. Unfortunately, his time in Colorado would represent the high watermark of his career, as he’d spend the next seven seasons whittling down his career WAR to 0.1. For the Royals, who traded for him, he’d be worth -1.9 WAR. This began a sad collection of trades involving Perez. However, the Rockies did outstanding to get Jermaine Dye who was just 27 at the time and was putting up a .272/.333/.417 line. Not great for a corner outfielder but he was worth 10.6 WAR up to that point and had a career .285/.341/.481 line. That is where the Rockies’ (the team that gave Perez all those ABs) intelligence ended. The same day they would flip Dye to the Oakland Athletics for Todd Belitz, Mario Encarnacion and Jose Ortiz. For Oakland, Dye was worth 2.5 WAR and put up a .252/.326/.444 line – certainly better than Neifi Perez. Back to Perez who the Royals gave too much playing time and lost too many wins because of. Mercifully, he’d be in Kansas City for just two years before going to the San Francisco Giants (worth 0.3 during his time there) and then three years for the Cubs (1.6 WAR). Draw your own conclusions why…or think about Edgar Renteria’s recent contract. To sum up the first Betancourt, in only five seasons in his 12-year career did Perez post an OBP above .300. Only once was it over .314. Basically, July 25, 2001 must have been a shot to the ego for Jermaine Dye (perhaps moreso than the free agent market in 2010). I mean, he was traded for what? I thought I’d kick of “deck the halls (aka music)” week with a two-fer! I am in awe of Mondesi’s info. First of all it is supremely awesome to step to the plate in any major league stadium. It must be infinitely more awesome to do so while your own music is playing. It’s like banging the hottest chick in the world on top of a billion dollars while your multi-platinum Barry White cover-CD is playing in the background (yes the one that Sade graciously sung back-up vocals for). Any who, I kind of feel like I grew up with Mondesi a bit. I was 11 in 1993 and he was one of the first big rookies of my time. 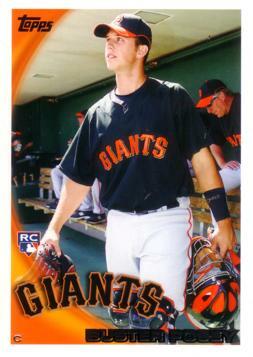 I kind of stopped following baseball intently when I hit college which is about when this card was printed. What people seem to have forgotten was how good Mondesi was with the Dodgers. Sure he flamed out in the AL East for the most part, but, for seven seasons in LA, Mondesi put up a .288/.334/.504 slash line. He also earned 21.3 WAR during his time out west. Unfortunately for the Blue Jays and Yankees he would earn just 6.2 WAR combined with them over 4 years. Still, Mondesi amassed some impressive numbers. He owns the 56th best slugging percentage in MLB history by a right hander — .485. He is tied with the great, yet somewhat forgotten, Joe Adcock. Not to be outdone, six years before Mondesi’s 2002 Topps announced to the world that Raul is a better name then Enrique, Ruben Sierra released his second salsa CD. While that’s somewhat impressive (I mean Ron Artest has released like five million albums), what’s more astounding is that Sierra performed at Madison Square Garden. I would bet his performance was better than anything the WNBA has thrown out there (Lauren Jackson, Sue Bird notwithstanding). Like Mondesi, Sierra was also a hot prospect who put in some serious work for the club who first signed him. In his 10 years with the Texas Rangers, Sierra put up a .280/.323/.473 slash line with 180 HRs and 90 SBs. He was an 18.4 WAR player for them. While his early career resembled Justin Upton, Andruw Jones, and Adrian Beltre, when we look at the totality of it, his numbers look a lot more like Joe Carter and Bobby Bonilla – not bad, but eh. Still, coming off the juice of his promise, the Athletics were able to turn Sierra into Danny Tartabul. In his first stint with the Yankees, Sierra was worth -1.4 WAR. After rejoining the Rangers in 2000 and posting a positive WAR (0.7) in 2001 for the first time since 1994, the Rangers would move Sierra to the Yankees again. This time it was for Marcus Thames and this time, again, Sierra would be worse than a replacement level player (-0.4 WAR). In all, Sierra was traded four times and signed by eight different organizations. Outside of the Rangers, he was worse than a replacement level player for every single organization. I feel like there should have been a Mad TV lower expectations commercial about him. Somewhat shockingly, given Sierra’s lack of non-musical value, he ended up with the 15th most at-bats by a switch-hitter and the ninth most doubles by a switch hitter (428). He also tied for 18th for the most seasons with a HR in MLB history. He hit a HR in 19 seasons, which was also done by Gary Sheffield, Craig Biggio, Barry Larkin, Gary Gaetti, Ken Griffey Sr., Alan Trammell, Willie Stargell, Enos Slaughter and Ernie Banks. Lastly, let’s hope his salsa music helped soothe and relax him during his career as he ended up posting the 25th most career game-ending outs. Sierra ended a game 113 times (try finding a replacement player that can do that! ), two more than Ricky Henderson. There are just all kinds of problems with the back of this card! For starters, would it really matter if Mark was in a relationship? It was a WIVES’ cookbook – not a married/engaged players’ cookbook. The distinction the card should have drawn is that Johnson is a player, not a wife. But, yeah, who doesn’t love a good venison jerky? I’ll submit that any cookbook without a good jerky recipe is just lame. The second problem I have with the back of the card: 59 at bats do not make anyone good at any type of hitting...but 50% of the time it works all of the time. In the 409 plate appearances Johnson had in his career during the day, he posted a .221/.333/.303 slash line. That is pretty similar to his night slash line of .217/.302/.327. Shockingly (except, not really) Johnson’s career numbers look like .218/.314/.318. So, yeah, I guess he does perform somewhat better when the sun is shining…I near about fell in love). In all, Johnson simply didn’t live up to his draft status (first rounder in 1994). 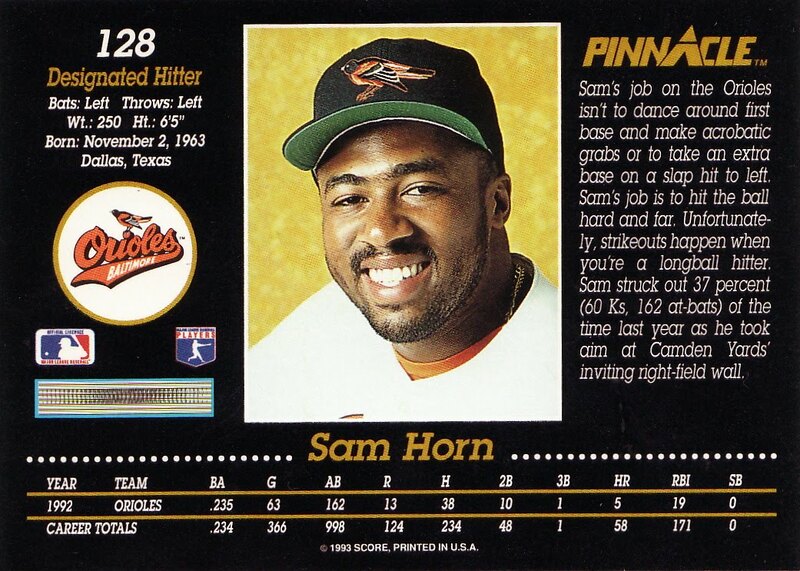 He did show some promise in the minors, posting several awesome OBPs from 1994-1998. Of course, at age 22, he hadn’t advanced beyond AA. In reality, outside of his wonderful cookbook appearance, the most interesting aspect of Johnson’s career was the trade he was involved in: him along with Keith Foulke and Joe Valentine to Oakland for Billy Koch, Neal Cotts and Daylon Hoyt. Oh, and he led us to this wonderful video on YouTube: http://www.youtube.com/watch?v=l_TwkupP1SA. I’ve always liked Chris Richard- I can’t really explain why. Perhaps it is because he has a similar hobby to yours truly….namely a fondness for baseball cards. I love the make-believe involved in cards, the “kid at heart” feeling opening up a new pack and hoping to get a Griffey or Mauer or Posey rookie card. When it comes to hobbies, it doesn’t get much better than baseball cards – you can truly invent anything you want with them, rank them, trade them, write about them (what, you thought I’d link to myself? ), look at them, etc. 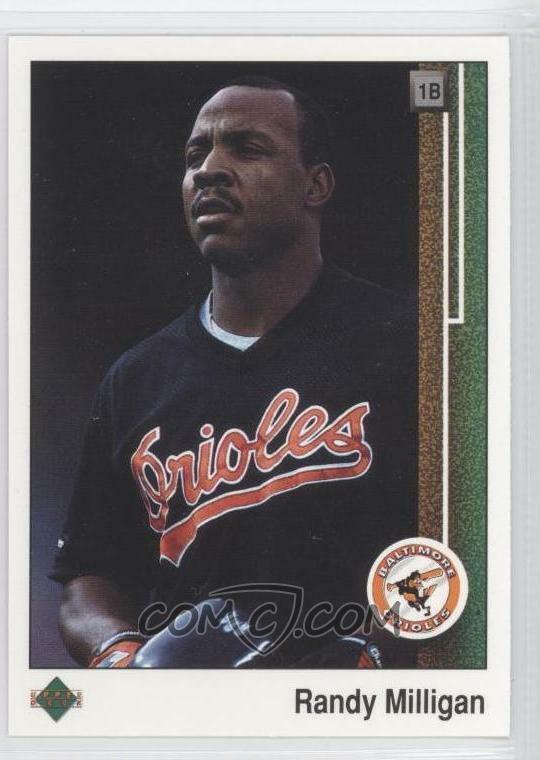 As a 21-year-old, Richard was a 19th round selection by the St. Louis Cardinals out of Oklahoma State in 1995. 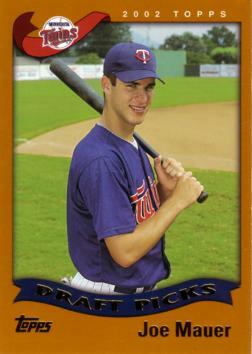 He’d post pretty decent minor league numbers culminating in 2000’s AAA slash line: .277/.366/.469. Based on that, Richard would get the call and appear in 62 games for the Cardinals, putting up a .265/.326/.544 slash line. However, in the middle of the year, the Cardinals traded him and Mark Nussback to the Baltimore Orioles for Mike Timlin. At the time, I was ecstatic. It looked like my team had secured a good young first basemen for the cost of a reliever, who, in my mind, simply blew games. Certainly Richard would be much better than Randy Milligan or Sam Horn (who went to high school with Mark McLemore – no joke). Unfortunately, Richard’s mediocre start would simply be his ceiling, as he posted a .262/.323/.445 slash line in 837 ABs with the Orioles. In 2003, the Orioles would move him to the Colorado Rockies for Jack Cust. Cust, a former first-rounder, had prodigious power. Again, I thought the Orioles had secured their first baseman of the future for the paltry some of an older player who never would fulfill the faulty promise I bestowed upon him. Unfortunately, Cust would get just 74 ABs in Baltimore before he left. He’d go on to have a pretty successful three year stretch for the Oakland Athletics. But there is one thing Richard accomplished that Cust (and many others) certainly didn’t. In fact, only 24 players in MLB history ever did what Richard did, that being hit a homerun on the first pitch they ever saw in their career. This is by no means a great predictor of success, but the feat was also accomplished by such notables as Bert Campaneris, Jay Bell and Adam Wainwright. I wonder what Richard’s favorite baseball card growing up was.